The sale, export and re-export of USA Security Systems Technology products, technology, software and/or any other items deemed an export by the U.S. Government are subject to the laws and regulations of the United States. Diversion contrary to U.S. law is strictly prohibited. Details of the Export Administration Regulations (EAR) can be found at www.bis.doc.gov. 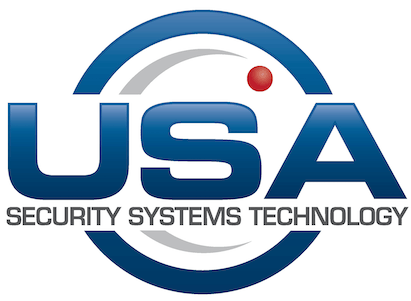 USA Security Systems Technology products may not be sold, exported, re-exported or supplied, directly or indirectly, to any person or entity designated as prohibited or restricted by an agency of the U.S. government. Exports to companies, organizations or persons listed on the Specially Designated Nationals List, the Denied Persons List or the Entity List are prohibited. The exportation, re-exportation, sale or supply, directly or indirectly, from the United States, or by a U.S. person wherever located, of any Aegis goods, software, technology (including technical data), or services to any of these countries is strictly prohibited without prior authorization by the U.S. Government. All transactions involving USA Security Systems Technology products must comply with U.S. laws and regulations concerning prohibited or restricted end uses. The EAR prohibits and/or strictly regulates all sales, exports or re-exports of software, support and services which will be used in conjunction with certain activities such as the research, development, design, manufacture, construction, operation or maintenance of nuclear, chemical, or biological weapons and certain other nuclear technology. The information contained herein and on this site is available for informational purposes only. It is not intended to constitute legal advice or to be used as a substitute for legal advice from a licensed attorney and does not represent an undertaking by USA Security Systems Technology to keep the user advised as to all the relevant US export controls and regulations. All customers are urged to consult the applicable U.S. export laws and regulations including the EAR, the Bureau of Industry and Security Export Counseling Division, and other appropriate resources before distributing, exporting, re-exporting, importing, or using USA Security Systems Technology products. ECCN (Export Control Classification Number) is a five digit alpha-numeric classification code used to determine US export licensing requirements. The ECCN represents specific commodities, software, technologies and other items defined in the EAR (Export Administration Regulations). CCATS (Commodity Classification Automated Tracking Systems). This is the code number assigned by the BIS (Bureau of Industry & Security) to products that it has classified against the CCL (Commerce Control List) within the EAR (Export Administration Regulations). EAR99 is a low-level category for items subject to the EAR that are not on the CCL (Commerce Control List). HTS (Harmonized Tariff Schedule) is a 10-digit code assigned to all commodities to classify and assess duties and tariffs. The Schedule B number is a 10-digit code very similar to the HTS for export and US trade statistics. USA Security Systems Technology will use the HTS number for all export & import transactions. License Exceptions are authorizations within the EAR which permits the export or re-export of FNI products to certain destinations under stated conditions without having to obtain an export license. A required review of the EAR’s restrictions and requirements on applicable license applications shall be considered before using them for all export and re-export transactions. NLR (No License Required) is a code for items subject to the EAR that do not require an export license for export and re-export transactions. ENC is a license exception code authorizing the export & re-export of encryption controlled hardware, software, firmware, and technology to certain destinations under stated conditions without having to obtain an export license. ENC restricted products are subject to additional restrictions applicable to the export or re-export to government end-users to many countries. For additional guidance, please review the EAR on commercial encryption export controls. USML (United States Munitions List) is found in Part 121of the International Traffic in Arms Regulations (ITAR), Title 22, Foreign Relations, of the Code of Federal Regulations (CFR). It is a list of articles, services, and related technology designated as defense-related by the United States federal government. If an export is deemed to fall under the ITAR, it then requires an export license issued by the United States State Department.